After earning a bachelor’s in accounting degree online, you can look forward to a rewarding career as a trusted business adviser. Accounting—often regarded as “the language of business”— provides a strong educational foundation for career success. The demand for accountants remains stable even in economic downturns, and many students earn an online accounting degree as an investment in long term career stability. Between 2016 and 2026, The Bureau of Labor Statistics projects 10% job growth for accountants and auditors, which is faster than the national average. What Will I Learn in an Online Bachelor's in Accounting Program? UofM is a public research university that was founded in 1912 in Memphis. The school serves 21,000 students each year on campus and through its distance learning arm UofM Global. UofM Global offers a variety of affordable degrees, alternative degree pathways, and flexible formatting, including a 120-credit bachelor of business administration with a major in accounting. The curriculum covers accounting functions, technological competencies, ways to effectively make decisions in a global environment, and other professional skills such as problem solving, critical thinking, and communication. Students complete the BBA core, which includes courses on topics such as business law and the legal, political, and social contexts in which businesses operate. There are also courses that investigate accounting-related concepts including cost accounting, federal income tax, accounting systems, and audit and assurance services. This online accounting degree prepares learners to sit for the Certified Public Accountants (CPA) exam. Distance learners have access to a variety of support services, including tutoring through Smarthinking. Applicants must have a high school diploma or GED certificate and submit ACT or SAT scores to be considered. The BBA in accounting program is fully accredited by the Association to Advance Collegiate Schools of Business (AACSB). The University of Minnesota Twin Cities is the flagship institution in the state's five-college system. The school offers a comprehensive catalog of undergraduate majors as well as a variety of distance learning programs, including a 120-credit online bachelor of science in accounting. Graduates are prepared to pursue careers as accountants in public, private, or governmental organizations. Students must complete general education coursework in areas such as math, the humanities, and behavioral sciences. They also examine fundamental business topics such as business law, ethics, management, marketing, and economics. The curriculum includes major coursework on topics like the principles of accounting, income tax, and accounting systems. The curriculum prepares students to sit for the CPA, Certified Internal Auditor (CIA), and Certified Management Accountant (CMA) exams. Students also acquire competencies in communication and technology, making them especially attractive recruits for employers. This degree prepares students to assume positions in accounting, financial analysis, and taxation. All online students pay the same tuition rate, regardless of residency. Students can begin the program in the spring and fall terms. Applicants must have a high school diploma or GED certificate and submit ACT or SAT scores to be considered. The University of Minnesota Twin Cities is regionally accredited from the Higher Learning Commission (HLC). Old Dominion is a public research university that was founded in 1930 in Norfolk, Virginia. The school also offers educational options at satellite campuses in the Hampton Roads area. Old Dominion offers a variety of flexible education opportunities through its virtual colleges — ODU Online. The school's college of business offers a bachelor of science in business administration (BSBA) with a major in accounting. This degree-completion program enrolls learners who have already earned a significant number of credits at other institutions. Students must complete general education classes in areas that include English, philosophy, math, and communication. There is also a business core that emphasizes topics like finance, managerial economics, statistical data analysis, business policy and strategy, and operations management. The school partners with the Virginia Community College System and other institutions to make it easier for transfer students to become admitted. For example, students who complete an associate degree through Northern Virginia Community College qualify for guaranteed admission to Old Dominion. Applicants to this BSBA program must have at least 60 credits of college coursework to be considered. They must also complete at least 30 credits at Old Dominion to graduate. Students can begin the program in the fall, spring, or summer terms. Penn State is ranked as one of the top higher education institutions in the country. Students who cannot attend classes at one of Penn State's 24 campuses can access the school's eLearning options through its World Campus. Opened in 1998, Penn State World Campus offers more than 150 degrees and certificates in high-demand fields such as engineering, education, technology, and business. The school offers a 120-credit bachelor of science in accounting that is ideal for students interested in careers in business; this program is offered in partnership with Penn State Harrisburg. Students begin their studies by completing business courses on topics like finance, business law, marketing, business strategy, and supply chain management. During their junior and senior years, students delve into accounting coursework on cost accounting, federal taxation, and financial and managerial accounting for decision making. The curriculum prepares students to sit for the CPA exam or pursue other certification, such as management accountant and internal auditor certificates. The school boasts a generous transfer credit policy, which allows students to transfer any number of credits towards their degree. However, students must earn at least 36 of their last 60 credits through Penn State to graduate. WSU is a public research university that was founded in 1890 in Pullman, Washington. Today, it is one of the nation's top research institutions, offering 96 undergraduate majors and more than 100 specializations. The school offers a bachelor of arts in accounting that is a good fit for those interested in pursuing a career in business. This program prepares graduates to work as public or corporate accountants at private businesses or government agencies. All online accounting students must complete WSU's “University Common Requirements,” which can be fulfilled through the direct transfer of an associate degree from several partnering schools. Before advancing into upper-level accounting coursework, students must also pass certain business administration courses that emphasize accounting. After completing these prerequisites, they must complete a 15-credit business core consisting of classes in marketing, management and organization principles, and business strategy and policy. This online accounting degree also requires 18 credits of accounting coursework, which examines topics such as taxation, auditing, and cost accounting. Finally, students must complete a six-credit international experience to prepare them to work in a global economy. They can fulfill this requirement through several options, including approved coursework, study abroad experiences, or international internships. Washington State University is regionally accredited from the Northwest Commission on Colleges and Universities (NWCCU). The online BA in accounting program is fully accredited by the Association to Advance Collegiate Schools of Business (AACSB). UMass Amherst is New England's largest public research university. The school of management at UMass offers a bachelor of business administration in accounting program that provides students with technical training in accountancy. The curriculum consists of general education coursework and 11 core business courses that cover subjects including corporate finance, operations management, marketing fundamentals, and management communications. Students also learn how to help businesses comply with financial reporting and tax obligations. The accounting major immerses students in the study of financial accounting, individual and corporate taxation, CPA law, and accounting information systems. Students learn how to account for a firm's reported liabilities by studying how they should be recognized, measured, and disclosed. Accounting students can engage in extracurricular activities by joining professional organizations such as the Massachusetts Society of CPAs and the National Association of State Boards of Accountancy. After earning their accounting degree online, graduates are prepared to pursue roles as auditors, tax specialists, and controllers. Applicants must have completed at least 27 transferable college credits with a minimum GPA of 3.0 to be considered. USC boasts a 200-year history of cultivating leaders. The school is one in an eight-college system, enrolling 34,000 students each year and offering a wide variety of distance learning programs through Palmetto College. Distance learners must transfer at least 45 credits of coursework earned at another institution to qualify. The school offers a variety of online programs, including a bachelor of science in business administration - accounting track. This program features a curriculum that teaches students about the global business environment, business best practices, teamwork competencies, and business technology. The curriculum includes courses that cover business topics such as marketing, finance, management and leadership, and international business. The accounting concentration emphasizes financial accounting, corporate income tax, auditing theory, and accounting information systems. Palmetto is one of the best online colleges for accounting and prepares accounting students to sit for the CPA exam. Full-time students can earn their degree in 30 months. The program admits students in the spring, summer, and fall terms. Applicants must have earned 45-60 transferable credits with a minimum GPA of 2.0 to be considered. Students who have not completed at least 45 credits of college coursework can earn them at a Palmetto College campus in the state or at a technical college. Missouri State offers several degrees, all of which emphasize ethical leadership. The school operates four campuses in Missouri and China and offers 180 bachelor's degrees. Missouri State also allows students to enroll in at one of 11 satellite locations or by pursuing eLearning options through Missouri State Online. The school's college of business offers a 125-credit bachelor of science in accounting a hybrid format. This degree-completion program allows students to transfer in an associate degree or an equivalent amount of credits to meet the program's general education requirements. The BS in accounting at Missouri State is one of the top online accounting programs. This program requires students to have already completed general education classes in areas such as algebra, psychology, biological sciences, and a foreign language. The core curriculum examines business principles, business law, managerial accounting, financial management, and operations management. The accounting major emphasize topics like tax accounting, auditing, and government and nonprofit accounting. Students can also complete a minor in either communication or criminology entirely; they can also earn a psychology or history minor in a hybrid format. Missouri State partners with Ozarks Technical Community College to allow for direct transfer of credits into this baccalaureate program. Applicants into the college of business must have a minimum GPA of 2.0 to be considered. Clearly is a private business university that was founded in 1883 in Michigan. The school offers a variety of business programs that are taught in classrooms with an 11-to-1 student-to-faculty ratio, allowing each student to receive one-on-one instruction. Cleary offers a bachelor of business administration program that allows students to specialize in several fields, including business management, entrepreneurship, and business analytics. Students who want to pursue careers in accounting can also earn a BBA in accounting and finance. The degree emphasizes business topics such as business finance, enterprise marketing, operations management, and corporate finance. Students also learn about accounting principles, cost accounting, advanced financial accounting, accounting information systems, and internal auditing. Faculty expose students to the legal issues commonly faced by accountants and prepare them to sit for the CPA examination. This online accounting program is endorsed by the Institute of Management Accountants (IMA) and prepares students to sit for the IMA's CMA licensure exam. Students may transfer up to 90 undergraduate credits into the BBA program, allowing them to earn their degree at an accelerated pace. Graduates are prepared to pursue entry-level positions as corporate accountants, financial managers, risk managers, and credit managers. Applicants must have a high school diploma or GED certificate and submit SAT scores to be considered. Cleary University is regionally accredited from the Higher Learning Commission (HLC). CSU-Global Campus offers a comprehensive catalogue of career-focused degrees in a variety of high-demand areas. One of these programs is the bachelor of science in accounting, which prepares students to pursue careers as accountants in the private, public, or governmental sectors. The curriculum for this online accounting degree emphasizes finance, marketing, economics, leadership, legal compliance and ethics, and quantitative decision making. Students examine accounting subjects such as cost cutting, finance for the private sector, federal individual and business taxation, and information systems for accounting. There is also a required capstone course where students demonstrate their leadership, critical thinking, problem-solving, and creativity in a real-life work environment. Distance learners can customize their degrees by enrolling in 15 credits of specialized coursework that gives them skills in complementary areas such as criminal forensics, data management and analysis, international business, strategic communications, or operations management and supervision. Unlike many other virtual colleges, CSU-Global also offers students access to one-on-one tutoring. The school has a generous transfer credit policy, allowing students to apply up to 90 credits earned at another institution towards their degree. All online students pay the same tuition rate, regardless of residency. Applicants must have a high school diploma or GED certificate to be considered. UAB is part of Alabama's three-college system. The school has a nationally recognized academic health center and ranks as the largest research school in the state. UAB boasts a comprehensive academic catalog and hosts more than 220 campus organizations. The school also offers a wide variety of undergraduate and graduate distance learning programs through UAB Online. 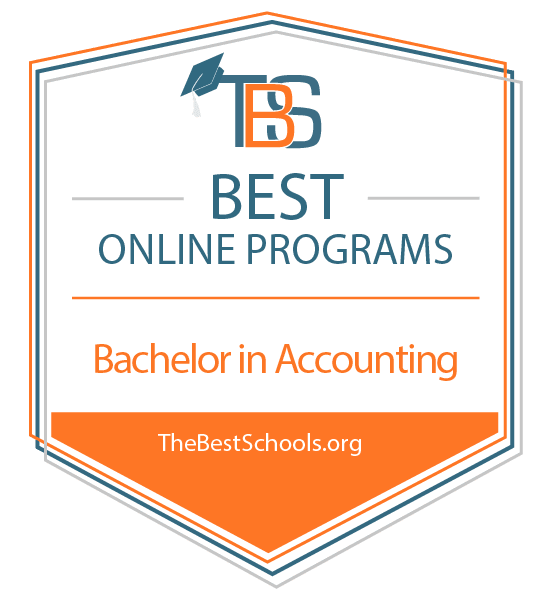 UAB's bachelor of science in accounting program covers topics including financial accounting, cost cutting, income taxation, internal auditing, international accounting, and accounting information systems. Students also complete 18 credits of upper-division coursework on subjects like marketing, information systems, operations management, and management processes and behavior. There is also a required course on the fundamentals of financial management that emphasizes quantitative and qualitative analyses of capital budgets, stock and bond valuation, risk/return analysis, capital structure, and cash flow analysis. The program culminates with an accounting capstone experience. UAB's accounting degree online program is endorsed by the IMA, recognizing that the school prepares students to sit for the CMA exam. The program also prepares students to take the CPA, CIA, and Certified Fraud Examiner (CFE) exams. Students typically earn their degrees in four years, but UAB allows individuals to transfer credits into the program to accelerate their completion time. Applicants must have a high school diploma or GED certificate and must submit SAT or ACT scores to be considered. NSU is a public four-year university that was founded in 1884 in Natchitoches, Louisiana. The school's virtual college — eNSU — offers a variety of programs that can be completed by students anywhere in the world. eNSU offers 40 degree programs, including a bachelor of science in accounting administered by NSU's college of business. The curriculum includes general education coursework in art, math, the humanities, and behavioral sciences. There is also a core business curriculum that includes courses on topics like microeconomics and macroeconomics, operations management, business law, and money and banking. This coursework examines day-to-day accounting functions in areas such as auditing, financial accounting, cost cutting, income taxes, and financial policies and practices. Students develop the technical, analytical thinking, and leadership skills needed to succeed in accounting. Faculty deliver courses in small classes to promote one-on-one instruction. The program can be completed entirely online in four years of full-time study. All online students pay the same tuition rate, regardless of residency. Applicants must have a high school diploma or GED certificate earned with a cumulative GPA of at least 2.35 and must submit ACT or SAT scores to be considered. Auburn is one of the largest colleges in the South, offering degrees that blend the arts and applied sciences. The Alabama college enrolls more than 29,000 students each year who attend class on the school's 1,841-acre campus and online. Auburn boasts small class sizes with an average 19-to-1 student-to-faculty ratio, allowing each student to receive one-on-one instruction. The university's college of business offers practical degrees that emphasize career readiness, including the online bachelor of science in accounting. This program was designed specifically for those who already hold an undergraduate degree but want to enter the field of accounting. It is also ideal for those who want to complete the educational requirements needed to sit for the CPA exam. Graduates from an AACSB-accredited program can complete this online accounting degree in as few as five semesters. The 30-credit curriculum examines topics such as cost accounting, income tax, auditing and assurance services, accounting information systems, and business processes and internal controls. Students can customize their degree by enrolling in electives on advanced accounting topics, advanced business law, or governmental and nonprofit accounting. All online students pay the same tuition rate, regardless of residency. Applicants must have a bachelor's degree in business or an MBA from an AACSB-accredited school to be considered. CU Anschutz is based in downtown Denver. The school hosts 140 degrees administered by 14 schools and colleges. Students can also participate in eLearning by enrolling in one of the programs offered by the school's distance learning arm, CU Online. The school offers a bachelor of science in business administration with an emphasis in accounting. This program prepares students to become business professionals proficient in the areas of auditing and taxes; finance and management; and government, teaching, and research. All undergraduates must complete general education courses in the humanities, social sciences, behavioral sciences, and natural/physical sciences. This online accounting degree also features a business core and 21 credits of accounting coursework that covers topics like financial accounting, cost accounting, income tax accounting, auditing theory, and accounting systems and data processing. The business school has strong ties to the accounting community in Denver and hosts an active internship office that helps place students in with a local internship. Faculty also encourage students to participate in the Beta Alpha Psi student accounting club. The school boasts a generous transfer system, which attracts a significant number of students each year. In fact, nearly half of the school's undergraduates began their education elsewhere. Applicants must have a high school diploma or GED certificate and must submit SAT or ACT scores to be considered. CSU is part of the University System of Georgia. The school offers a variety of undergraduate and graduate degrees through its seven schools and colleges. The university's college of business offers a variety of distance learning programs, including a 123-credit online bachelor of business administration in accounting. This program provides students with a solid foundation in business principles as well as specialized knowledge in accounting. All students must complete general education coursework in areas such as math, English, and the humanities. The 27-credit BBA core examines topics such as managerial finance, management principles, information technology management, and business law. There is also a course on quantitative analysis that explores business calculus, probability distributions, and hypothesis testing. The 24-credit accounting core immerses students in the study of cost accounting, auditing, income tax for individuals, and accounting information systems. CSU also requires students to complete a business professional exit course in their senior year to prepare them for entry into the business world. Graduates enter the workforce equipped with the knowledge required to pursue professional licensure or certification, such as the CPA or CMA certificates. Applicants must have a high school diploma or GED certificate and must submit SAT or ACT scores to be considered. USD is located in Vermillion, South Dakota, and enrolls 10,000 students each year in programs administered by eight colleges and schools. The school boasts small class sizes with an average 17-to-1 student-to-teacher ratio, allowing each student to receive one-on-one attention. USD Online offers 40 online degrees to distance learners, including a 120-credit BBA in business administration with an emphasis in accounting. This flexible program is well suited for nontraditional learners who want to earn their degree while they continue to work. This is one of the top accounting programs online and includes a 60-credit major that consists of coursework on topics like business finance, business statistics, marketing, information systems, organizational behavior and theory, and production and operations management. Distance learners also acquire foundational knowledge in economics by completing coursework in microeconomics, macroeconomics, public finance, and international trade. The accounting emphasis emphasizes accounting principles, cost accounting, accounting systems, auditing, and income tax accounting. This fully online program is delivered asynchronously, allowing students to complete coursework at their own pace. USD Online provides distance learners with a variety of resources, including tutoring and library services. All online students pay the same tuition rate, regardless of residency. Applicants should have completed at least 45 credits of college coursework with a minimum GPA of 2.5 to be considered. Students applying to the business school may also need to complete a pre-major business core. The University of South Dakota is regionally accredited from the Higher Learning Commission (HLC). ISU was originally established as a training college for teachers, but now offers a comprehensive catalog of degrees. These programs are administered through seven colleges and train professionals for careers in the arts and sciences. The school also offers 60 distance learning programs, including a 120-credit bachelor of science in accounting that prepares graduates to sit for the CPA exam. This degree is one of the best online accounting programs in the nation, featuring the university's Foundational Studies Program, which helps students develop critical thinking and leadership skills. All students must complete courses covering business statistics, the principles of accounting, business finance, marketing principles, and management and organizational behavior. The 27-credit accounting major covers subjects like financial accounting, cost accounting, accounting systems, federal income tax, and auditing theory and practice. Students can also complete a minor in finance, forensic accounting, or insurance and risk management. Indiana residents must complete an additional 30 credits to meet all educational requirements needed to sit for the CPA exam in the state. Applicants must have a high school diploma and submit SAT or ACT scores to be considered. Temple is a public research university that delivers programs on eight campuses across Pennsylvania and online. The university also boasts locations in Rome and Tokyo. Through its 17 schools and colleges, Temple offers hundreds of degree programs to 38,000 students each year. Temple's school of business offers a 124-credit bachelor of business administration in accounting that was designed for both nontraditional learners and recent high school graduates. Students who pursue this accounting degree online develop a strong business background by studying operations management, financial accounting, and information systems in organizations. Accounting majors must complete 24 major-related credits to gain proficiency in areas such as accounting principles, auditing, cost accounting, federal income tax, and accounting information systems. Students interested in extracurricular activities can join professional organizations, such as Beta Alpha Psi and the National Association of Black Accountants. Distance learners receive support in the form of virtual meetings and appointments with advisors. All online students pay the same tuition rate, regardless of residency. Students can enroll in this program on a part- or full-time basis. Applicants must have a high school diploma earned with a minimum GPA of 3.0 and submit SAT or ACT scores to be considered. SUNY Plattsburgh is a public liberal arts college that was founded in 1889 in upstate New York's Champlain Valley. The college's school of business and economics offers a bachelor of science in accounting degree track specifically for transfer students. The program features a flexible curriculum and graduates pass the CPA examination at rates that exceed the national average. The curriculum of this accredited online accounting degree teaches students about money and banking, finance principles, math models in business, strategic management, and business statistics. Accounting coursework examines topics that include cost accounting, income tax, government and nonprofit accounting, and accounting information systems. Students receive hands-on training by completing internships at CPA firms, nonprofit organizations, and other companies including IBM. Students have access to a strong network of alumni who offer guidance and expertise. Applicants must have an associate degree with a business focus or complete prerequisite business courses on topics like financial accounting, managerial accounting, and management principles to be considered. Based on a rural campus in Western Pennsylvania, Clarion offers degrees in the arts and sciences, education, healthcare, and business. The school serves more than 5,000 students each year and boasts class sizes with an average 19-to-1 student-to-faculty ratio, allowing each student to receive one-on-one instruction. Clarion also offers a wide variety of distance learning programs through Clarion Online. The bachelor of science in business administration in accounting program is a good fit for those seeking to develop competencies in business and accounting. Students in this online accounting degree must complete general education classes in the liberal arts as well as a lower-division business core that emphasizes financial accounting, managerial accounting, economics and business statistics, and the legal environment of business. The curriculum's upper-division requirements that delve into advanced business principles, including management theory and practice, financial management, operations management, and administrative decision making. The BSBA in accounting program also offers a 33-credit CPA track that prepares graduates to pass the exam. Alternatively, some students choose to complete the 24-credit industry accounting concentration, which covers many of the same topics but does not include CPA preparation. Applicants must have a high school diploma or GED certificate and submit SAT or ACT scores to be considered. Students transferring into this program must have a minimum GPA of 2.5 on all prior coursework. NU was founded in 1898 in Boston, Massachusetts. Today, the school has satellite campuses in North Carolina, Seattle, Silicon Valley, and Toronto. The school's education model emphasizes experiential learning, with its researchers having found success in the sciences, computer science, and engineering. NU's college of professional studies offers a variety of baccalaureate degree-completion options that can be completed entirely online. The bachelor of science in finance and accounting management program is ideal for aspiring business professionals who want to learn the intricacies of business and finance. The curriculum examines several business topics, such as organizational behavior, microeconomics and macroeconomics, business law and ethics, and corporate finance. The 28-credit accounting major teaches students about cost accounting, financial reporting and analysis, taxation principles, and financial statement analysis. Other topics covered include issues that impact the financial sector, such as globalization, technology, regulations, and sustainability. After earning their online accounting degree, graduates are qualified to prepare financial statements, create budgets, leverage assets and maximize investments, and measure and disclose metrics and other information. Students can enroll in the program on a part- or full-time basis and are admitted in the fall, spring, and summer terms. Applicants must have an associate degree or transferrable credits earned with a minimum GPA of 2.5 to be considered. Pace, located in New York, has education students with curricula rooted in the liberal arts since 1906. This private university enrolls approximately 13,000 students each year on campuses in Manhattan and Westchester counties. The school also offers a variety of online degree-completion programs that are ideal for those who already have some college credits and still want to earn a baccalaureate degree. Pace's school of business offers a 120-credit online bachelor in business administration in business studies with an accounting and internal auditing concentration. This online accounting degree emphasizes foundational business principles and competencies. Students examine contemporary business practices, financial accounting, managerial accounting, business law, marketing principles, business analytics, and managerial and organizational concepts. The 23-credit concentration covers subjects like intermediate accounting, internal auditing, cost accounting, forensic accounting, and periodic financial reporting. The program can be completed entirely online, and students can earn their degree in just three years, depending on how many credits they transferred into the program and how many courses they enroll in each semester. Students can access internships, co-ops, and practicum opportunities through one of the largest internship placement programs in New York. All online students pay the same tuition rate, regardless of residency. Applicants must have an associate degree or a minimum of 56 transferrable credits in the liberal arts earned with a GPA of at least 2.5 to be considered. UMUC offers a variety of programs that are designed specifically for working professionals. The school offers a comprehensive suite of career-relevant degrees at more than 20 locations in the District of Columbia, Maryland, and Virginia. Many of UMUC's 90 degrees, certificates, and specializations can be completed entirely online or in a hybrid format. UMUC delivers several business degrees online, including a 120-credit bachelor of science in accounting. This program blends theoretical and practical knowledge to produce accountants who can analyze and report on an organization's economic activities. The curriculum examines the intricacies of the accounting profession by covering accounting principles, cost accounting, federal income tax, internal auditing, and auditing theory and practice. There is also a forensic accounting course that teaches students how to identify fraud, the conditions that foster such incidents, and design prevention plans. Students pursuing a BS in accounting can earn a minor in business administration by studying business law, business finance, marketing principles, management and organization theory, and ethics and professionalism in accounting. Those interested in taking some courses on campus can earn this degree through a hybrid format. Distance learners in need of additional academic assistance receive help through free online tutoring and mentoring. Students may transfer of up to 90 credits from a four-year school and 70 credits from a two-year institution. Applicants must have a high school diploma or GED certificate to be considered. Transfer students must also have a minimum GPA of 2.0. The University of Maryland-University College is regionally accredited from the Middle States Commission on Higher Education (MSCHE). UT is a metropolitan college and one of 14 state colleges in Ohio. The school enrolls 23,000 students each year and offers more than 300 degrees. The school operates a main campus along the Ottawa River as well as a health science campus offering graduate health programs. UT Online offers several distance learning programs, including a 126-credit bachelor of business in accounting. This four-year degree examines business topics such as microeconomics, data analysis for businesses, managerial and behavioral processes, financial management, and information technology management. In their third and fourth years, students complete classes in the accounting major on topics like auditing, individual taxation, external financial reporting, and accounting information systems. The BBA at UT is one of the best online accounting degree programs, producing graduates who pass the CPA exam at rates that exceed the national average. The school also boasts a 93% job placement rate for accounting graduates. Distance learners at UT have access to support services such as a eLibrary and eTutoring. Students can enroll in this BBA program on a part- or full-time basis and are admitted in the summer, fall, and spring semesters. Applicants must have a GED certificate or high school diploma earned with a minimum GPA of 2.8 and submit ACT or SAT scores to be considered. Dartmouth is a top research college located on a 710-acre campus in Massachusetts. Students can choose from 59 majors and 55 minors at the baccalaureate and graduate levels. Additionally, Dartmouth's online and continuing education programs allow students to earn degrees in entirely online or in a hybrid format. The online bachelor of science in accounting is designed for both working professionals and college freshman. This 120-credit program is delivered through the school of business and can be completed entirely online. The curriculum includes courses on cost accounting, financial management, organizational behavior, strategic management, quantitative business analysis, government and nonprofit accounting, and financial management of corporations. By enrolling in an additional 30 credits, students meet the education requirements needed to sit for the CPA exam. This BS in accounting also helps prepare learners to sit for the CMA and CFE exams. Distance learners have access to free online and in-person tutoring. Dartmouth's generous transfer policy allows undergraduates to transfer up to 75 credits earn at another accredited institution towards their degree. All online students pay the same tuition rate, regardless of residency. Applicants must have a high school diploma or GED and submit SAT or ACT scores to be considered. Transfer students must have a minimum GPA of 2.5. Established in 1887, Morehead State is located just outside the Daniel Boone National Forest in Kentucky. The school awards 135 undergraduate degrees and several graduate programs. Morehead State also offers a variety of distance learning programs, including a bachelor of business administration with an emphasis in accounting. This program is open to those who have already completed general education and lower-division business requirements. Many students complete these prerequisites by earning an associate degree through the Kentucky Community and Technical College System. After completing prerequisites, distance learners can earn their online accounting degree in two years by completing upper-level business courses. The curriculum covers topics such as business finance, entrepreneurship and innovation, strategic management, quantitative analysis for business, and operations and service management. The 27-credit accounting specialization emphasizes cost cutting, income tax, and auditing. Students can also enroll in electives like government accounting or accounting information systems. Graduates are prepared to pursue employment in corporate accounting, investment planning, and financial advising. Applicants must have completed general education and business prerequisites with a cumulative GPA of at least 2.25 to be considered. Originally established to train public school teachers, Texas State now prepares professionals to work in a variety of disciplines. Today, the school enrolls more than 38,000 students each year and offers 98 bachelor's programs. Texas State also offers a wide variety of distance learning programs, including a hybrid 120-credit bachelor of business administration in accounting that emphasizes management and accounting principles. The BBA at Texas State is one of the best online accounting programs, teaching students how to understand crucial accounting concepts such as taxation, auditing, financial accounting, cost and managerial accounting, accounting information systems, and governmental and nonprofit accounting. The 43-credit business core includes courses on business law, economics, quantitative methods, and computer information systems. Upper-level business courses help students develop advanced competencies in management, marketing, and finance. By enrolling in Texas State's five-year plan, students can earn a BBA and a master of accountancy at an accelerated rate. Applicants to this BBA program must have a high school diploma or GED certificate, submit SAT or ACT scores, and completed prerequisite coursework to be considered. Transfer students with 30 or more credits earned with a minimum GPA of 3.25 receive automatic admission. UM-Flint is an integral part of the Flint community, providing programs to a diverse student body who include both working professionals and college freshman. The urban college offers more than 100 academic programs. UM-Flint also offers hundreds of courses online and administers several degree-completion programs for students who already have college-level credits earned at another institution. UM-Flint's school of management offers multiple degree-completion programs, including a 120-credit bachelor of business administration in accounting that can be completed entirely online. The business core includes courses on topics like financial management, international business, marketing principles, human behavior in organizations, and business and corporate strategy. This accounting major emphasizes four areas of study: cost accounting, auditing, intermediate accounting, and accounting information systems. Coursework exposes students to the socio-economic, ethical, and legal and regulatory factors that influence accounting on a macro-level. Students can develop hands-on experience by participating in a business leadership program, study abroad opportunities, or one of several student organizations. UM-Flint maintains partnerships with many community colleges, allowing students to transfer in general education credits earned at another institution. Applicants must have a high school diploma or GED certificate, a cumulative GPA of at least 2.2 on all prior college coursework and completed all required pre-business courses to be considered. UWG is a public university that was founded in 1906 in Carrollton, Georgia. The school offers degrees in 88 fields of study that are administered through six colleges. The school also offers a variety of distance learning programs through UWG Online, including a hybrid 120-credit bachelor of business administration in accounting. This program emphasizes economics, corporate finance, operations management, and marketing principles. The curriculum includes courses that cover financial accounting, managerial accounting, auditing, income tax for individuals, and accounting information systems. A course on law and ethics examines the legal and regulatory environment in which businesses operate, as well as how issues such as politics, cultural diversity, and technology impact business operations. UWG also features a capstone in strategic management, providing BBA students with a bird's eye view of the business enterprise from the perspective of executive management. Students can also pursue internship opportunities to receive hands-on experience at accounting firms. Applicants must have a high school diploma and submit SAT or ACT scores to be considered. FAU offers a wide variety of academic programs from its 850-acre campus located on Florida's Atlantic coast. The school also oversees programs at several satellite campuses and through its eCampus. Students choose from a catalog of 175 degree tracks, including several degree-completion programs, including one in business administration. FAU offers a bachelor of business administration in accounting program that enrolls students who have completed at least 60 credits of general education classes. The BBA major emphasizes business and management principles, as well as their applications in practical settings. The curriculum includes courses that examine topics such as financial management, business law, money and banking, operations management, and quantitative methods in administration. Students can also enroll in electives on topics like international banking and international marketing, allowing them to gain a better perspective on global business. They can also complete 21 credits related to their specialization, where they examine intermediate theory, cost accounting, federal income tax, auditing and assurance services, and accounting information systems. Online students receive assistance through online tutoring in areas such as math and writing. They also enjoy access to library services and FAU's career services. Applicants must have an associate of arts, completed required pre-business foundation classes, and a cumulative GPA of at least 2.5 on all previous coursework to be completed. Accounting courses cover the fundamentals of financial accounting, managerial accounting, and federal taxation. Upper-division courses include cost accounting, government and nonprofit accounting, accounting information systems, and internal auditing. Most entry-level jobs in accounting require a bachelor's degree, and many graduates also pursue a certified public accountant (CPA) credential. Some students also elect to add a minor in a related discipline such as finance. Many schools provide independent study opportunities to students interested in accounting research, or they partner with local organizations to offer practicums. If you intend to sit for the CPA exam, note that most states require candidates to complete 150 credits. Since typical four-year accounting programs require 120 credits, plan to extend your studies up to a year to qualify for the CPA exam. In addition to introductory and intermediate courses in financial accounting, most online accounting programs include courses in taxation and accounting information systems. Though course offerings vary between schools, the following list provides a few examples of standard courses for students enrolled in accounting programs online. Cost accounting: With an emphasis on management information systems, cost accounting studies the theory and practice of improved efficiency and cost control for businesses. Students use case studies to analyze the use of cost accounting data for managerial decision making. Topics include cost accumulation, determining sales prices, inventory management, and operational analysis. Managerial accounting: This course equips students with the skills needed to identify and resolve accounting issues for internal business decision making. Students analyze business scenarios through the application of managerial accounting concepts including capital budgeting, product costing and valuation, constraint analysis, margin analysis, and forecasting. Auditing: This course studies the technical and professional aspects of auditing theory and financial reporting practice. Emphasizing the legal and ethical responsibilities of public accountants and internal auditors, this class reviews relevant field work and audit failure case studies. Topics include audit planning, sampling tools, due diligence, internal control, and fraud. Many graduates of online accounting programs pursue careers in fields like internal auditing, management accounting, or government accounting. Skilled in problem solving, analysis, and communication, accounting graduates often pursue CPA certification and advance into supervisory roles as controllers or finance directors. Accountants and Auditors: Accountants compile, prepare, analyze, and report financial information, ensuring that financial statements contain no errors and comply with accepted accounting principles and laws. They resolve discrepancies in financial statements and other records, monitor internal control procedures, make recommendations to improve efficiency of financial operations, and prepare and file tax documents. Personal Financial Advisers: Personal financial advisers provide professional advice to individual clients on financial matters including real estate, investing, taxes, retirement, estate planning, budgets, and insurance. They assess clients' assets and liabilities, offer guidance in financial decision making, and recommend strategies to achieve financial objectives. Financial Examiners: Financial examiners review and analyze financial information to ensure compliance with law and government standards. They review records such as audit reports, balance sheets, loan documentation, and tax records. Their duties include evaluating real estate transactions, performing risk assessments for loans, preparing examination reports, and making recommendations for corrective action. When investigating accounting schools online, be sure to verify a school's accreditation status. Accreditation assures the quality of your education and establishes the merit of your degree to potential employers. Regional accreditation, conducted by six agencies according to geographic region, typically ensures that a school meets the highest requirements. National accreditation applies to specific types of institutions, such as occupational or religious schools. The U.S. Department of Education and the Council for Higher Education Accreditation recognize and monitor accrediting organizations for quality. You can check both agencies' websites to verify a school's accreditation status. Widely regarded as the mark of excellence in business education programs, the Association to Advance Collegiate Schools of Business (AACSB) functions as the most respected field-specific accrediting agency for accounting programs. Established in 1916, the AACSB provides quality assurance to business schools and member organizations worldwide. The best online colleges for accounting receive AACSB accreditation. Active involvement in professional organizations serves as an excellent investment of time for accounting professionals, enabling members to develop key relationships and competencies important to success. Professional organizations provide a variety of member benefits, including certifications, mentoring opportunities, convenient access to workshops and continuing education materials, timely access to job announcements unavailable elsewhere, and current industry updates. Professional associations also serve as a powerful voice for legislative reform. Association of International Certified Professional Accountants (AICPA): Established in 1887, the AICPA develops the CPA examination, maintains auditing standards, represents the profession through legislative advocacy, and monitors compliance with ethical standards. Member benefits include conferences, travel discounts, and professional education. Institute of Management Accountants (IMA): Founded in 1919, IMA offers certification and career support for management accountants. Benefits for members include publications, special offers, continuing education, a job board, and an annual conference. National Society of Accountants (NSA): Based in Virginia, NSA serves both tax and accounting professionals. Member benefits include scholarships, tax law advocacy, a tax help desk, a member resource library, and discounts on insurance.